Pro Material has 2x more questions and 4x more chance of repetition. Choose which one you want to buy from the dropdown below and then click on Buy. Note – In case you’re not able to pay or Transaction Failures, message us on our Facebook Page we accept payments via PayTM. 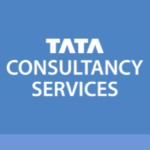 In TCS Questions are repeated again and again in every exam. Thus studying from this you can get as much as 80% percentage of questions from this. In TCS, questions are repeated again and again in every exam. Thus studying from this you can get as much as 80% of your paper from our TCS English Verbal Questions with Answers Pro. The course has been updated with the latest questions from the TCS and TCS Ninja. 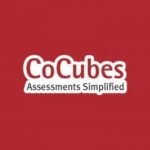 This course is more than enough for you to clear the TCS Test and it is perfect for last minute preparation. 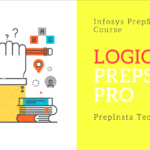 The questions discussed in this course are handpicked in such a way that you are familiar with all the possible question patterns that have been asked in TCS drive conducted in the last 5 years. I had bought materials from all the websites prepinsta, mygeekmonkey and face. 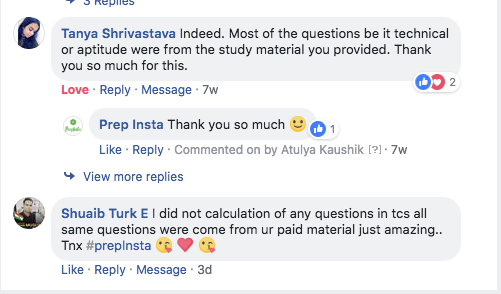 Face has just copied questions prepinsta and doesnt update it questions. MyGeekMonkey and PrepInsta have the latest questions and PrepInsta has larger question bank.